Konichiwa! 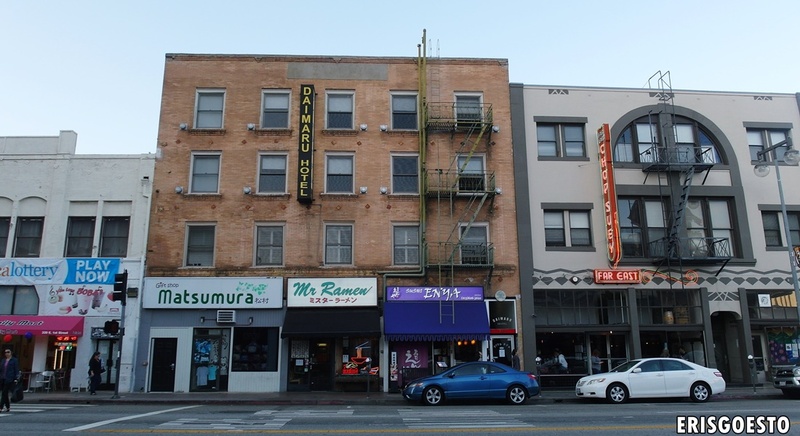 Welcome to Little Tokyo, Los Angeles. 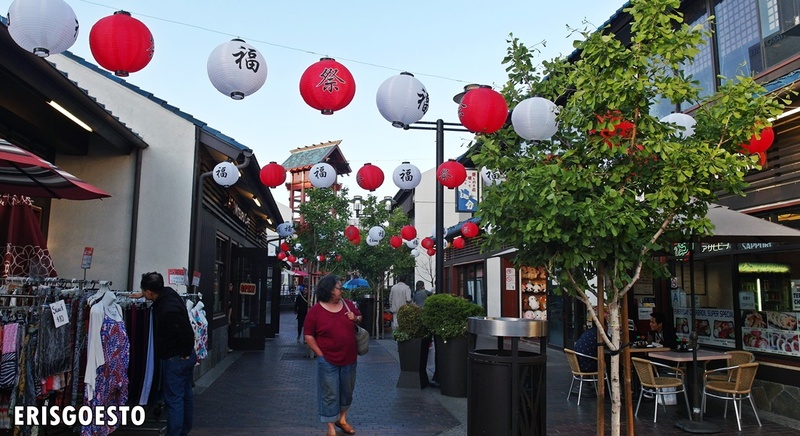 One of only three officially recognised Japantowns in California, it hosts the largest population of Japanese-Americans in North America. Most of the museums were closed because we got there in the evening, but there is still plenty to see on its streets. 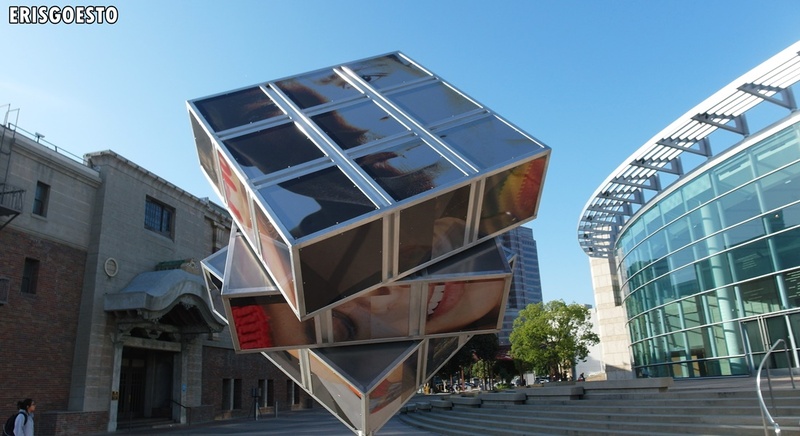 Just outside the Japanese American National Museum is an unusual cube-shaped art installation, featuring photos of everyday people. 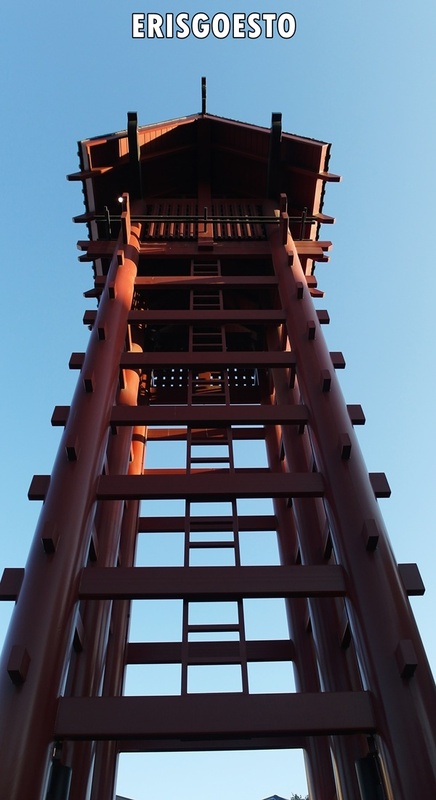 An interesting building in the vicinity -The Honpa Hongwanji Buddhist Temple – features traditional Zen-Buddhism architecture. 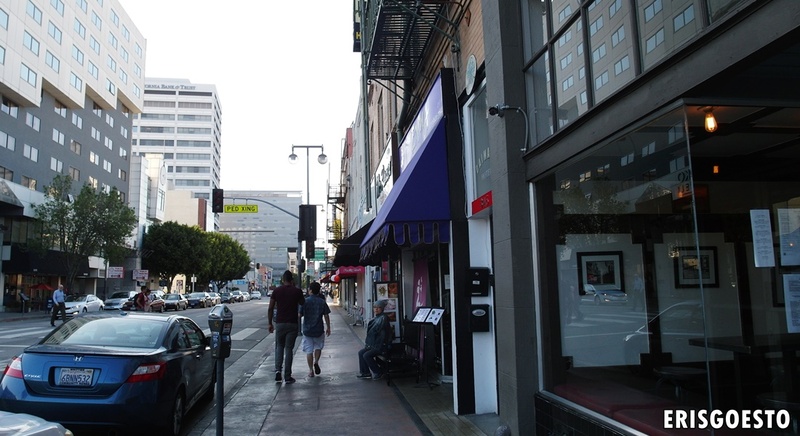 The streets are lined with Japanese restaurants and cafes. There is a very famous restaurant here called Daikokuya that serves excellent ramen! 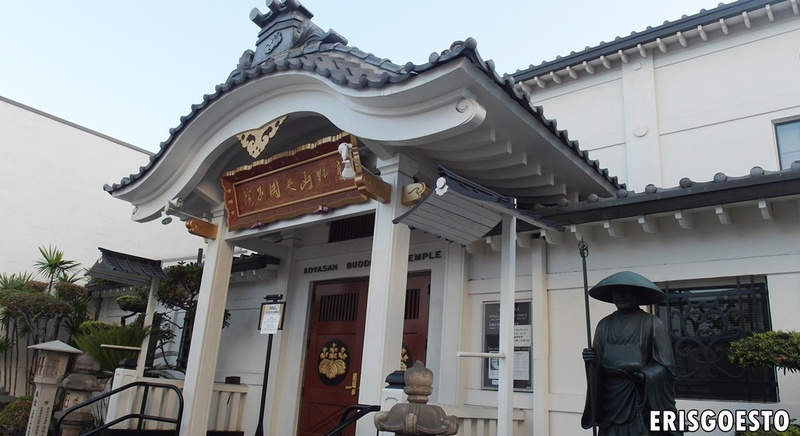 Just across the street is the Koyasan Buddhist Temple, decorated with stone statues of deities in front of a simple white building with grey tiles. 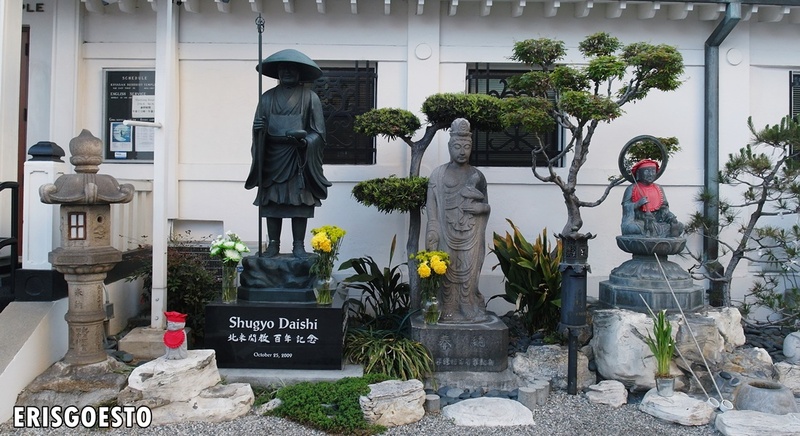 Everything is very Zen-garden-esque, with fresh flowers and carefully sculpted trees and plants. The temple is one of the oldest Buddhist temples in North America, but I couldn’t tell by looking at it because it was so well kept. 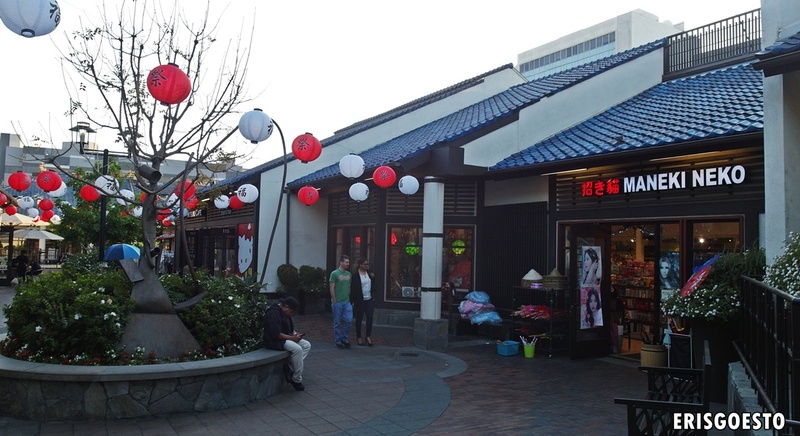 The ‘Touristy’ part of Japantown. 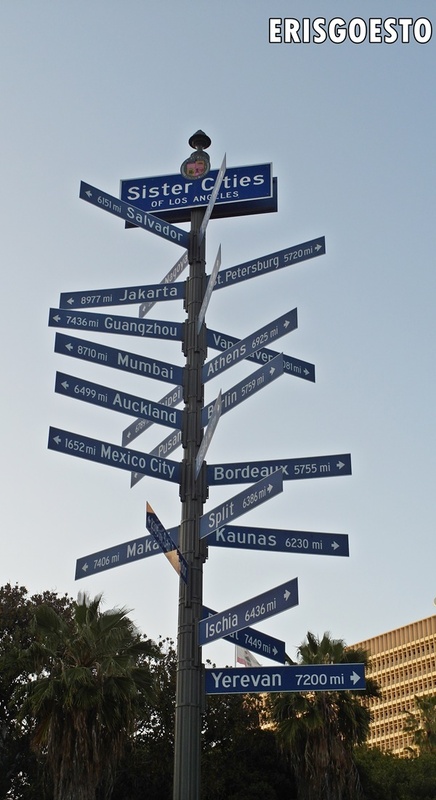 Loads of restaurants, clothing and souvenir shops. I found these hilarious. 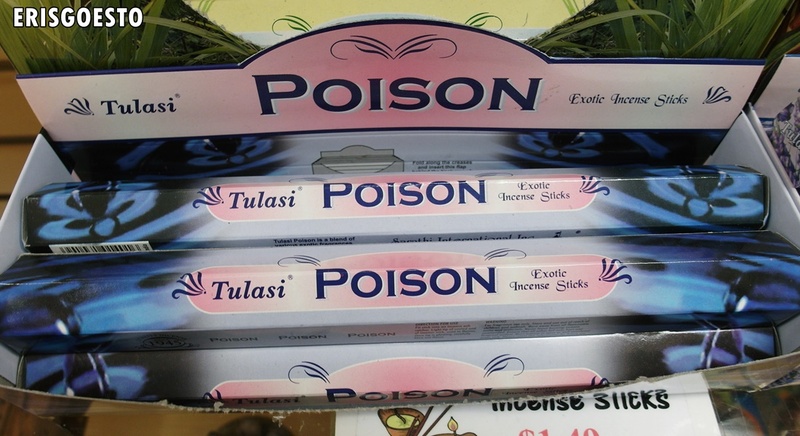 Incense sticks. 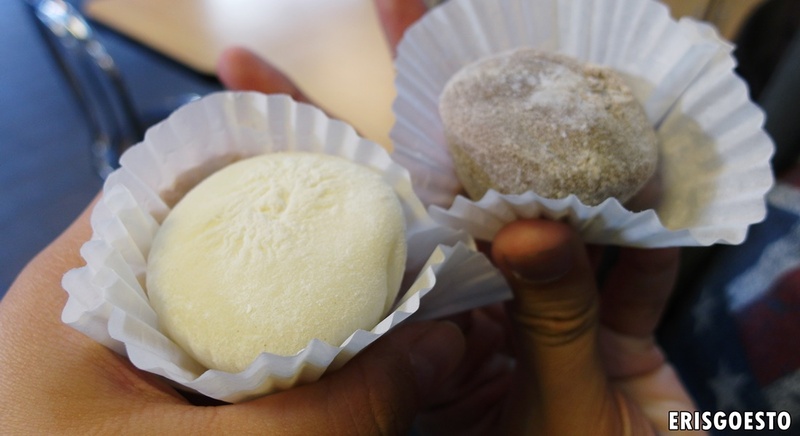 Mochi. Vanilla and chocolate flavoured. 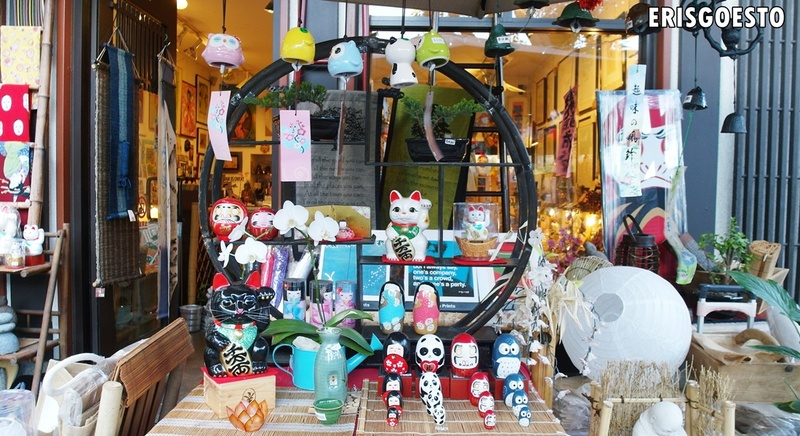 Souvenirs – Japanese nest dolls and Maneki Neko (lucky cat), windchimes, scrolls, lanterns. Did not get any because I can get them back in Asia for cheaper. We took a bus to the interchange to catch another bus ride back to Fairfax Avenue. 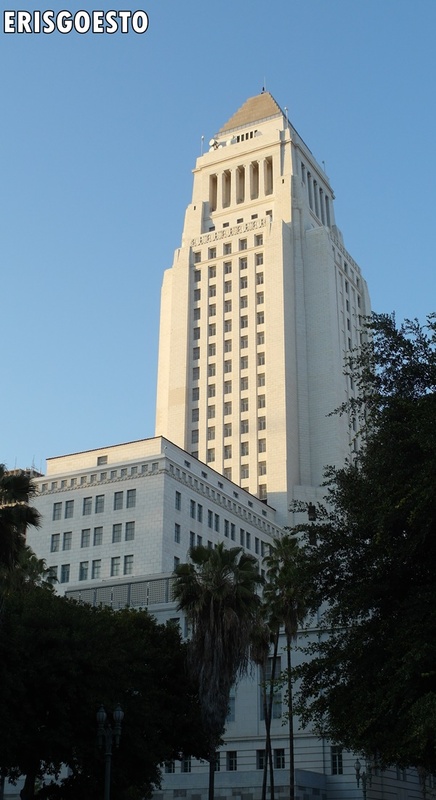 LA looks beautiful in the sunset, with the sun’s rays reflecting off buildings and their shiny windows. Pls Ignore tired, fugly face. 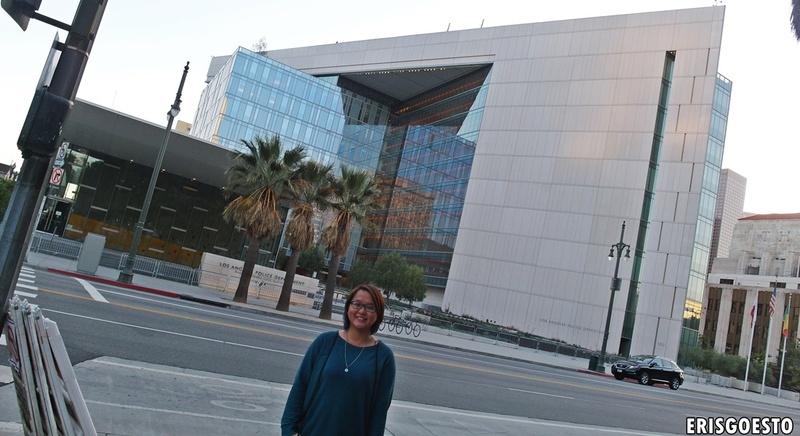 At first glance, I thought it was another art museum because of its beautiful design, but it turned out to be the Los Angeles Police Department. 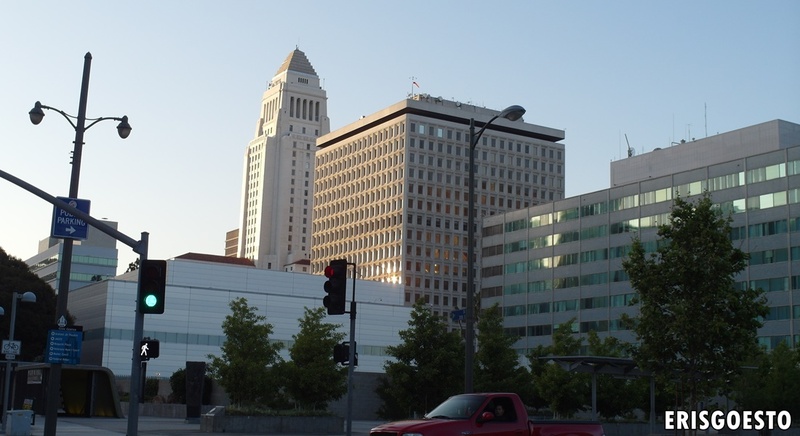 It is the third largest police force after NYPD and the Chicago Police Department, with close to 12,000 staff. 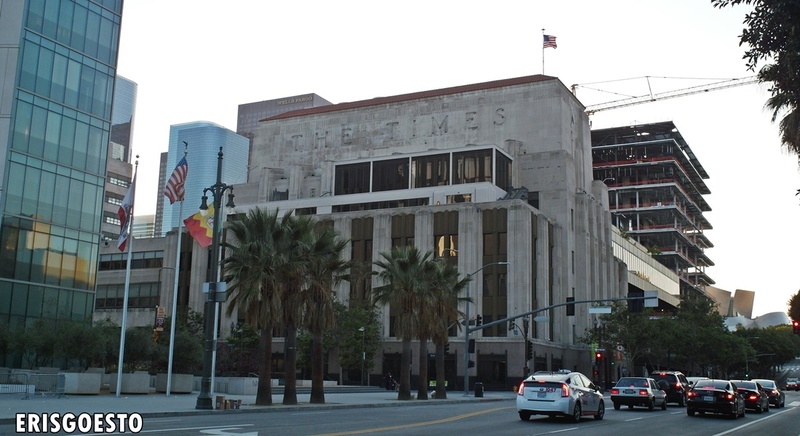 Just next to it is a household name in journalism – the LA Times. 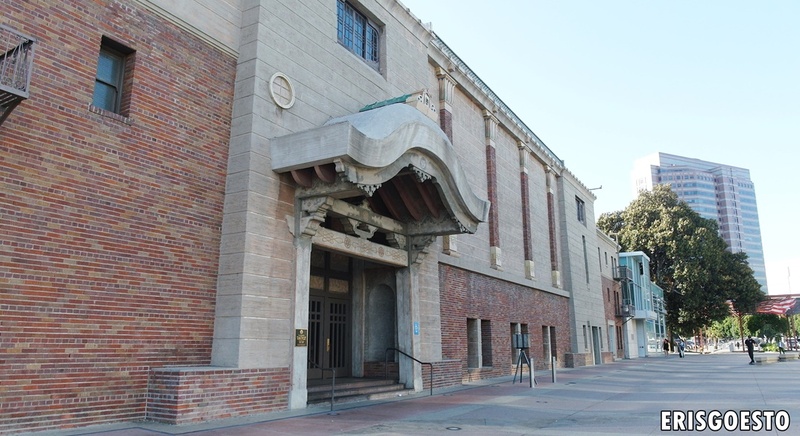 Founded in 1881, the paper has earned itself 41 Pulitzer Prizes. Wouldn’t it be amazing if I could have a stint here? Metro (bus) lines 30 and 330.